When fire crews enter a fire/IDLH atmosphere without a hose line, we are exposed to a higher risk of thermal injury. Therefore, all firefighters who perform VEIS (ventilate-enter-isolate-search) must be thoroughly trained and practiced in its execution. 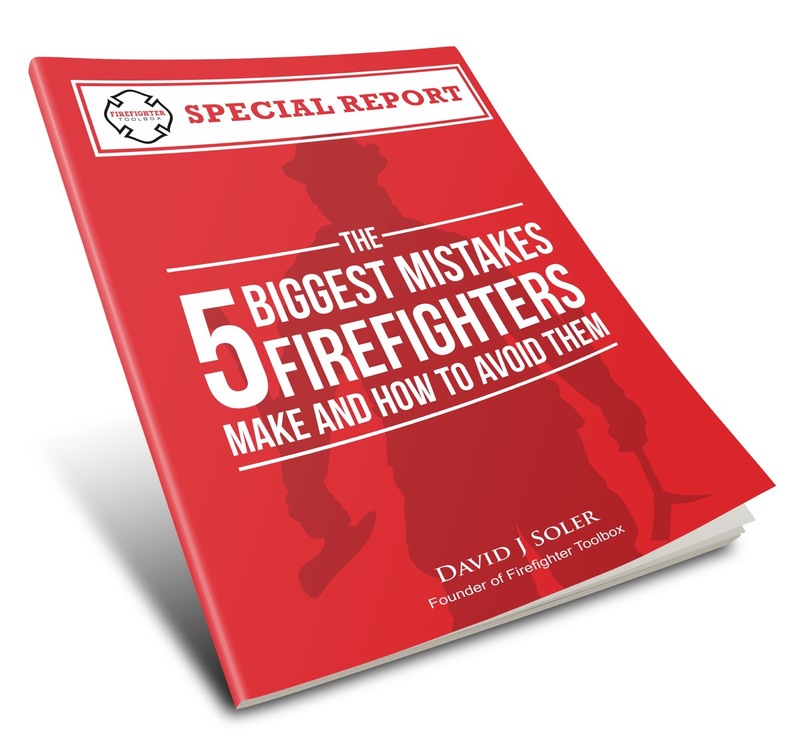 As mentioned in part 1 of this article series, a minimum of two firefighters is necessary to perform VEIS. The first firefighter who ascends the ladder and performs the majority of the vent-enter-isolate-search is called the primary searcher. The second firefighter who butts the ladder and assists the primary searcher is called the point firefighter. The following 5 steps are the fundamentals of performing VEIS. 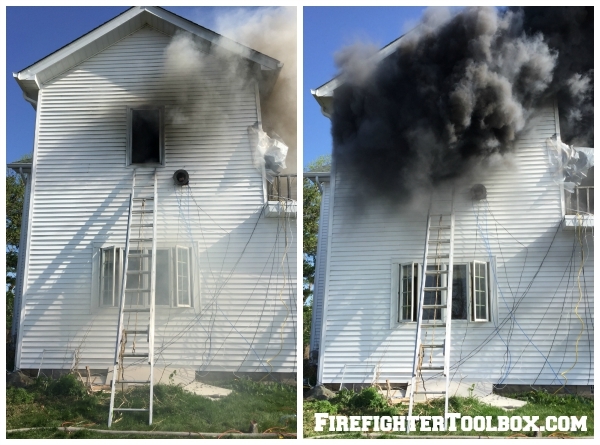 If the target room is on the second floor or above, throw the tip of the ground ladder so that it is just below the window. Aerial ladders may be used, but remember: VEIS requires speed. If the target room is accessible by ground level, we can bypass using a ladder. 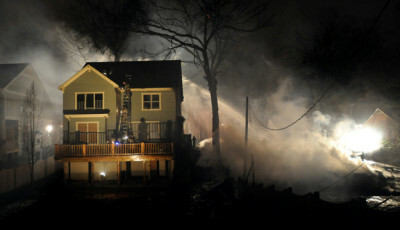 This firefighter climbs to the tip of the ladder and takes a quick look into the room: Are any victims visible? Is there fire already in the room? 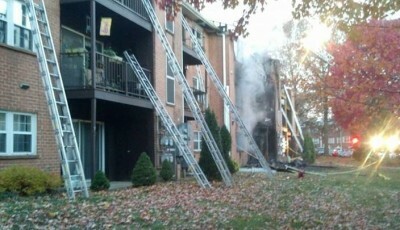 Has the interior door failed due to fire conditions? Using a hook, the firefighter breaks the window’s glass. This firefighter will completely clear the sash and all remaining glass (especially from the windowsill). It is beneficial for the primary searcher to use the thermal imaging camera (TIC) here for 3 reasons: 1) Check the thermal data/fire conditions, 2) Scan the room to get a “lay of the land” and 3) Scan the room for victims. After venting the room, are flashover conditions imminent or present? If so, we may need to abort VEIS. Before entering the room, use hook to gently sweep the interior floor for victims. It is advisable to use the non-working end to sweep for victims. 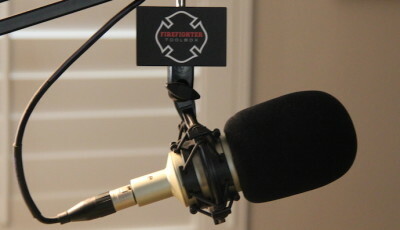 If no victims are below the windowsill, forcefully sound the floor to verify its integrity. We may choose to enter the room head first (as pictured) or feet first by straddling the windowsill. As the primary searcher enters the room, the point firefighter who was butting the ladder must now come to the tip of the ladder. The TIC can now be transferred from the primary searcher to the point firefighter. Before searching for victims in the target room, we must close first close the door. Before closing the door, take a quick peek into the hallway to see if any victims are lying on the floor. Even if we find a victim upon initially entering the room, immediately proceed to closing the room’s door. Closing the door will isolate the fire’s flow path. This will keep fire, heat, and smoke from being drawn towards us. 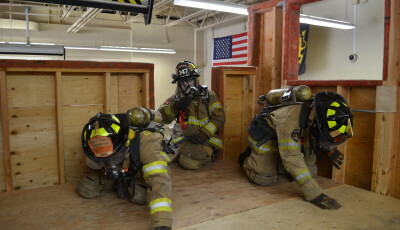 If we cannot close the room’s interior door, the point firefighter should position a smoke blocking device (i.e. – Super Vac BlockAid®) which will isolate the flow path. This photo demonstrates the importance of isolating the flow path. 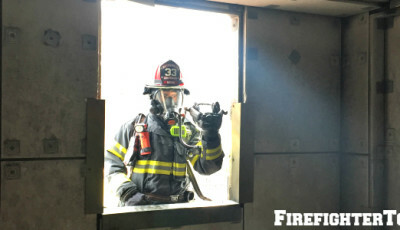 If the interior door is left open, the newly created flow path allows smoke, heat, and fire to be drawn towards VEIS firefighters. The primary searcher can now search the room for victims. The point firefighter at the tip of the ladder will use the TIC to orient the primary searcher within the room. The point firefighter will also use the TIC to scan the room for victims. If a victim is found, the point firefighter at the tip of the ladder will also enter the room and help move the victim. If the best choice for victim extrication is through the window and down the ladder, extra manpower will be required. Communicate this information to the incident commander as soon as possible. VEIS is a proven rescue tactic that must be trained on frequently to ensure safety and success. After reading, do you have any VEIS tips to add to the conversation? If so, please let us know in the comments section below. I’m very interested in your series on VEIS. I’m currently a Training Officer for the Calgary Fire Department in Calgary, Alberta Canada and I recently inherited not only the departments Ladder program but VEIS as well. I am looking into remodeling both and would be interested in chatting with you. I’m also on Facebook, LinkedIn and Twitter (@jimmoss911).